DIRECTV believes in creating an enjoyable experience for all customers. 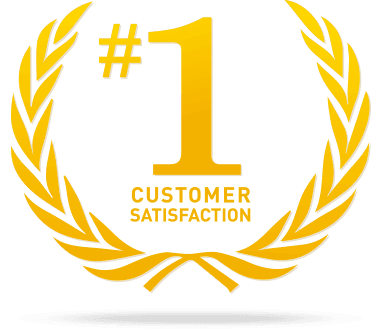 DIRECTV is #1 in Customer Satisfaction compared to all other measured major cable and satellite providers. Claim based on 2017 ACSI survey of customers ranking their own TV provider’s performance. In our effort to better provide DIRECTV customers with relevant support and answers to their queries, we have complied a list of most commonly asked questions. Please review the sections below to find the answer to your question. What is the difference between DIRECTV service and cable television service? DIRECTV is a satellite TV service provider and is available in nearly every part of the country. As the name suggest, cable television is a cable-based, hard line service that relies on physical cable to transmit service. Cable availability is based on location, including whether cable infrastructure exists in a specific location or not. Does DIRECTV service require a contract? Yes, DIRECTV service requires a contract. Your service contract depends on the DIRECTV programming package you choose. How do I find if DIRECTV service is available in my area? DIRECTV is available nearly everywhere in the country. Because DIRECTV is satellite TV all you need is a clear view of the southern sky. Can I get DIRECTV for my business? DIRECTV is available for businesses. To view available business packages, click here. How do I order new DIRECTV services? How and when are DIRECTV customers billed? DIRECTV customers are billed for a full month of service at the start of their billing cycles. The billing cycle date is based on the date service was activated and cannot be changed. Payment is due approximately 20 days after the bill is generated. Can I sign up for automatic billing? What is my DIRECTV account number? What is my DIRECTV username? Select the “Forgot email or Access ID?” link on the directv.com sign-in page. Because DIRECTV is now a part of the AT&T family, you will be redirected to att.com. On the “Forgot User ID” screen, select “DIRECTV” from the dropdown. Enter your DIRECTV account number and billing zip code. You will be emailed your User ID. Please check your email. Where do I find my DIRECTV account password? Select the “Forgot Password?” link on the directv.com sign-in page. Because DIRECTV is now a part of the AT&T family, you will be redirected to att.com. Once there, select the button next to Password. Enter your DIRECTV email address or your AT&T Access ID and your last name. You will be emailed a temporary password. Copy and paste your temporary password into the entry field and select Continue. Enter a new password and confirm it. Select Continue. 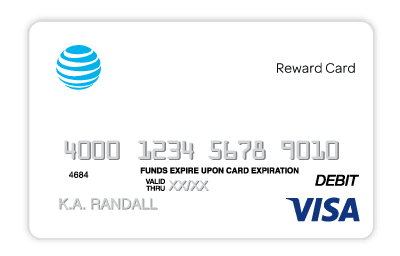 How do I pay my DIRECTV bill online? Can I temporarily pause my DIRECTV service? How do I cancel DIRECTV service? Are there any cancelation fees? Yes, there are cancelation fees if you choose to cancel your DIRECTV service before your contract expires. You will be charged a prorated fee of up to $20/month. How do I upgrade to a premium channel or sports package? How do I cancel my premium channel or sports package? To cancel a premium channel or sports package, please call us at 1-800-531-5000 1-800-531-5000. Please be advised that you cannot cancel a sports subscription after the season has started. Why do I need to have a land-based phone line connected to receive sports programming? 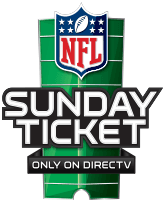 DIRECTV is required to comply with blackout rules set by individual professional sports leagues. A consistently connected land-based phone line to your DIRECTV Receiver allows us to know if and when your location is within a blackout area for a particular game. Blackout rules are set by the various professional sports leagues, like the NFL, NBA, and MLB. Blackouts are enacted if a local or national broadcasting network, like NBC, CBS, ABC, or FOX, has the rights to broadcast a sports game. In this case, DIRECTV customers living in the home team’s area may not be able to view the game with their DIRECTV subscription. To view a game effected by a blackout, customers will need to watch their local channel for the particular broadcast. There may be several reasons why you are missing a local station. To offer local channels in more cities, we may have changed local channel numbers. You may be getting duplicate local channels, since in some small markets one station may broadcast the same show on two networks. Or one channel owns the other channel and is broadcasting the same show at the same time. You may be receiving local channels from a different market due to market realignments. DIRECTV is required to use Nielsen Media Research when defining markets. Does DIRECTV signal go out in bad weather? In rare cases of severe weather conditions your signal may be interrupted for a moment, but will always return. DIRECTV delivers 99% worry-free signal reliability, based on a nationwide study of representative cities. Proceed with troubleshooting steps below only if you are seeing black, blue or gray screen or a “No Signal” message without the DIRECTV logo. Turn your TV and receiver off and back on. Using your DIRECTV remote, press the TV Input button to cycle through TV inputs until you see a picture. If nothing happens when you press the Input button, click here for instruction on how to program your DIRECTV remote to control your TV Input and try again. If you are still experiencing issues, check the cable used to connect your receiver to your TV. If you find no issue with the cable, proceed to Solution 2. Some DIRECTV receivers have a red reset button located inside the access card door on the front panel. Press it and wait for the receiver to reboot. Some receivers have the reset button on the side panel. If you cannot locate the red reset button or your receiver does not have on, unplug the receiver power cord, wait 15 seconds, and plug it back in. Press the Power button on the front of your receiver and wait for it to reboot. Why is my screen “snowy”? Check to see that your TV and receiver are on the same output channel. Tune TV to Channel 3 or Channel 4 using your TV remote, not the DIRECTV remote. If you see a clear picture, slide the Chanel 2/4 switch at the back of your receiver to match the channel your TV is tuned to. If you are still experiencing issues, procced to Solution3. Unplug the receiver’s power cord, wait 15 seconds, and plug it back in. Press the Power button on the front of your receiver and wait for receiver to reboot. Still not seeing a clear pictures? Call 1-800-531-5000 1-800-531-5000 for assistance. Issues such as missing channels can be resolved by refreshing or reauthorizing your receiver. Sign in to your DIRECTV account and refer to the My Equipment page to select the receiver you are having trouble with. Press the red Reset button located inside the access card door on the front panel of your receiver and wait for the receiver to reboot. Unplug the receiver power cord, wait 15 seconds, and plug it back in. Press the Power button on the front panel of your receiver and wait for the receiver to reboot. If you are still experiencing issues, call 1-800-531-5000 1-800-531-5000 for technical assistance. DIRECTV CINEMA™ delivers hundreds of the latest release directly to your TV to enjoy instantly, many available almost a month sooner than Redbox and Netflix. To watch movies on DIRECTV, tune to Channel 1100. Movies with a green pay button are available to watch instantly. DIRECTV On Demand gives you access to thousands of your favorite shows and movies, including the latest release silver screen releases. To access DIRECTV On Demand, tune to Channel 1000 and browse the On Demand categories. Availability of content varies based on programming package subscription. Actual number of shows and movies will vary. Additional fees apply for new releases and certain library titles. How do you order DIRECTV Pay Per View movies to watch on TV? You have a few options to order DIRECTV Pay Per View movies. Go to Channel 1100 and select the Pay Per View movie you want to watch. Search the Pay Per View movie you watch to order in the search field at the top of the site. Hover your mouse over the movie title you wish to watch and click Watch. Follow the on-screen prompts to confirm your purchase. If your receiver is connected to the Internet, press the LIST button on your remote to go to your Playlist and select the movie. If you receiver is not connected to the internet, tune in to the Pay Per View channel that corresponds with your movie (Channels 125-199). Can I watch movies and shows on my favorite network's website? You can watch movies and shows on your favorite networks website if your DIRECTV package includes those networks in the subscription.